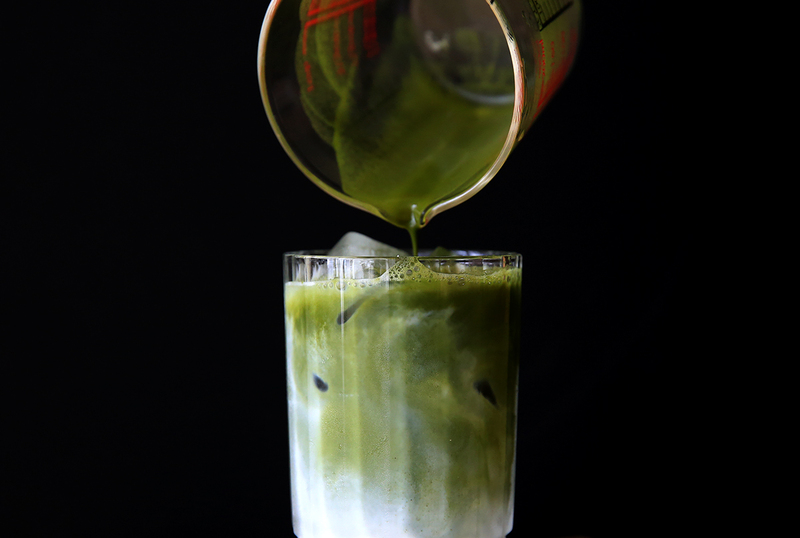 A Matcha in your life! So, as a responsible adulting adult- I try to avoid disappointing my wallet and have come to make most of the things I crave at home! 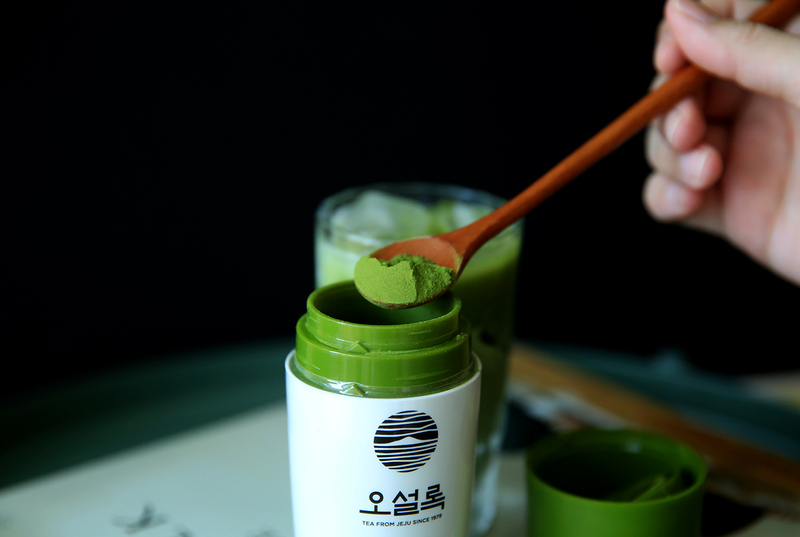 OSULLOC Premium Green Tea Powder which is made from 100% organic Jeju green tea leaves and only for the price of 10,000won! The packaging is great- you can use it with the cap on for sprinkling or off when you need spoonfuls of it. 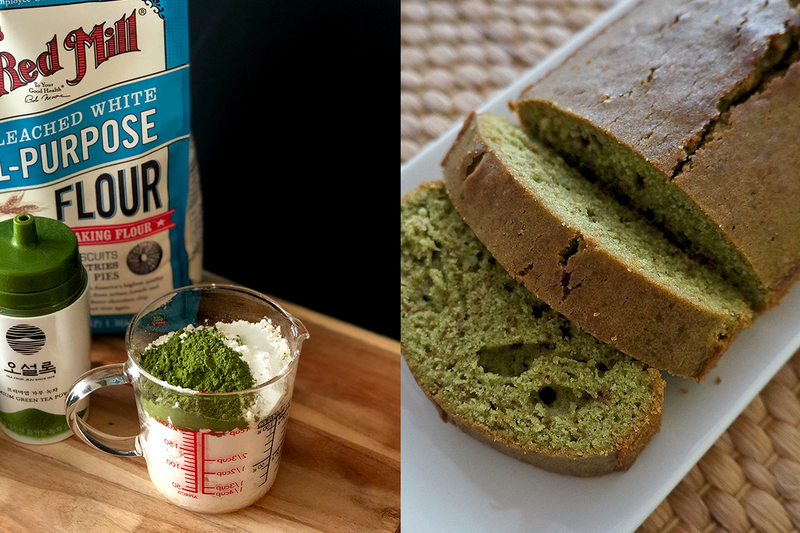 There are many ways to use green tea powder and recipes are in abundance online from matcha chia seed pudding to even green tea rice! 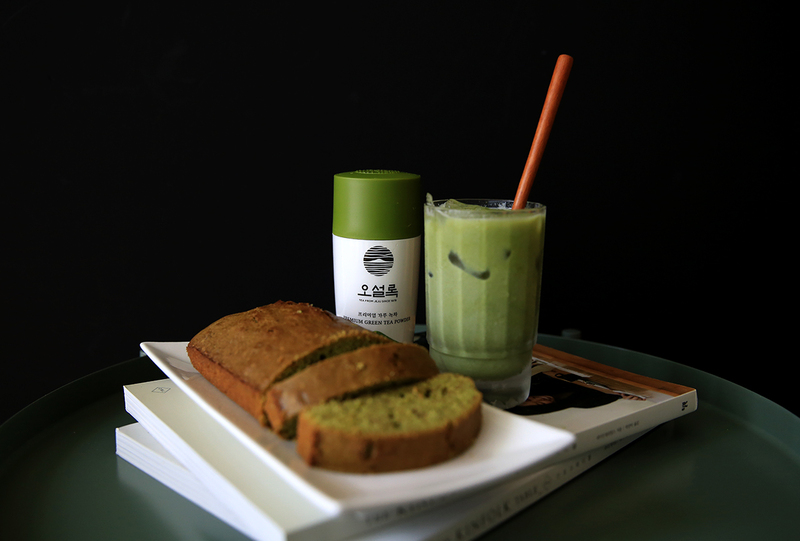 If you are interested to try the green tea pound cake I made, check out this easy recipe. 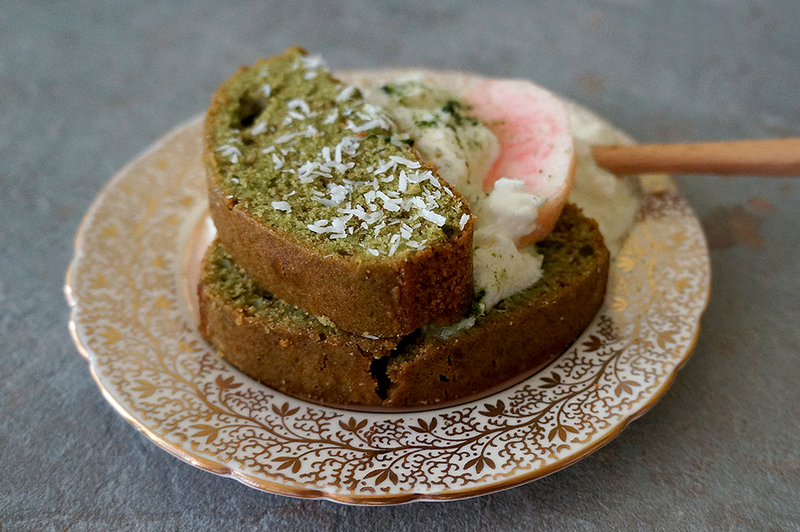 I had my slice with a side of greek yogurt, peach and a sprinkle of coconut flakes and green tea powder. Click here for related OSULLOC post.